New York Post reporter Susan Edelman revealed on January 4 the name of the unfortunate anesthesiologist allegedly present on August 28 at Yorkville Endoscopy, during the throat procedure that led to the death of comedian Joan Rivers. She is reported to be Renuka Reddy Bankulla, MD, 47, a board-certified anesthesiologist from New Rochelle, NY. Having her name made public will be a nightmare for Dr. Bankulla, as investigators will certainly target her role in Ms. Rivers’ sedation and the management — or mismanagement — of her resuscitation. When the news of Ms. Rivers’ cardiac arrest and transfer to Mt. Sinai Hospital became public, many of us guessed that there might have been no qualified anesthesia practitioner — either anesthesiologist or nurse anesthetist — present during the case. The gastroenterologist and then medical director of the clinic, Dr. Lawrence Cohen, argued famously that the sedative propofol, which Ms. Rivers received, could be safely given by a registered nurse under his supervision, and that no anesthesiologist is necessary. By any standard of care, the anesthesiologist clearly would be one of the physicians in charge. It’s known from the CMS report that Ms. Rivers had normal vital signs on August 28 at 8:44 a.m., with an oxygen saturation (SPO2) of 100% while breathing room air. This number means that she had a satisfactory level of oxygen in her bloodstream. At 9:12 a.m., the SPO2 had decreased to 92%, a low-normal reading, but rose again to a healthy 97% by 9:21 a.m. In a hand-written note later in the day, the anesthesiologist explained that she used a combination of “jaw thrust and increase in oxygen flow” to maintain oxygen levels in Ms. Rivers’ blood. These are standard maneuvers designed to open a patient’s airway and make it easier to breathe adequately. It is very common for a patient to experience some degree of airway obstruction when a fiberoptic scope is inserted into the mouth and the patient must breathe around it. 3. A repeat nasal laryngoscopy by Dr. Korovin immediately following the EGD. It isn’t clear why the second look at the vocal cords was necessary. Sources have speculated that Ms. Rivers’ may have developed laryngospasm, or sudden closure of her vocal cords, but there is no documentation in the CMS report that this occurred. If laryngospasm did happen, the anesthesiologist and the ENT surgeon were well qualified to recognize and reverse it, and it would be rare for laryngospasm to cause permanent harm. There are conflicting statements in the CMS report about the sequence of events immediately during and following the second laryngoscopy by Dr. Korovin. An endoscopy technician is quoted as saying that Dr. Korovin withdrew the nasal scope at 9:30 a.m. The “Cardiac Arrest Record” states that Ms. Rivers went into cardiac arrest at 9:28 a.m. and cardiopulmonary resuscitation (CPR) was initiated at 9:30 a.m. A separate code record, called the “Endoscopy Code Blue Record”, noted that Ms. Rivers developed ventricular tachycardia with a pulse at 9:28 a.m., and that “assisted ventilation and chest compression” were initiated at the same time. Both records indicate that epinephrine 1 mg and atropine 1 mg were administered, but the times differ. The first record documents that these medications were given at 9:38, while the second record states they were given at 9:28. The last vital signs recorded on Ms. Rivers show that both her blood pressure and heart rate were decreasing, though the SPO2 was documented at a low-normal 92% at 9:26 a.m. and again at 9:30 a.m. No respiratory rate is recorded at 9:26. Neither a respiratory rate nor a pulse rate is recorded at 9:30 a.m., which is the approximate time that cardiac arrest appears to have been recognized and CPR begun. Was exhaled carbon dioxide monitored? One key question in all of this, it seems to me, is this: why wasn’t monitoring of exhaled carbon dioxide (CO2) recorded along with the other vital signs? Exhaled CO2 is the gold standard for effective exchange of air. A patient breathes in air and supplemental oxygen, and then breathes CO2 out. A patient who isn’t breathing at all won’t exhale any CO2. This can be the quickest way to determine that a patient isn’t breathing. Equipment for recording exhaled CO2 is widely available, and oxygen can easily be given during endoscopy via nasal prongs that are capable of transmitting exhaled CO2 for measurement. It’s possible that CO2 was monitored but not recorded at Yorkville Endoscopy, but it seems unlikely. Standard monitors would record all the vital sign numbers, including the level of exhaled CO2. In the absence of CO2 monitoring, it is possible that the team failed to realize that Ms. Rivers at some point wasn’t breathing effectively, and then stopped breathing altogether. This would explain why she went into cardiac arrest. Slowing of the heart rate may be an indicator of impending cardiac arrest, and the last heart rate recorded for Ms. Rivers had slowed to 47 beats per minute. Why was the SPO2 still above 90%? One puzzling piece of data is that the pulse oximetry reading was still 92% at 9:30 a.m., the time when cardiac arrest apparently had already occurred. Could the SPO2 be incorrect, or does this mean that the oxygen level in Ms. Rivers’ bloodstream was adequate and therefore not the primary problem? Pulse oximetry readings depend on measuring the difference in light absorption between blood that carries oxygen and blood that doesn’t. The relative light absorption is processed by the device, and a level is reported. But the pulse oximeter isn’t completely reliable. Above all, the pulse oximeter depends on pulse and blood flow. If a patient has low blood flow, low blood pressure, or is cold, the monitor may not be able to pick up accurate signals. Also, there can be a significant delay in the monitor’s ability to detect a drop in blood oxygen. Studies have shown that it may take a pulse oximeter finger probe as long as two minutes to register a significant drop in blood oxygen levels, and even longer if the patient is cold or has poor circulation. Either of these factors could have affected the readings in Ms. Rivers’ case. The final autopsy report determined that the cause of Ms. Rivers’ death was anoxic encephalopathy due to hypoxic cardiac arrest. This means that her brain was deprived of oxygen long enough to cause permanent, irreversible damage, regardless of what the pulse oximeter reading may have recorded some time earlier. First, make sure the airway is open. Second, make sure the patient is breathing or else take control of breathing for the patient. Third, make sure the heart is beating effectively and circulating oxygen to the brain. It’s impossible to tell from the CMS report if these goals were accomplished as quickly as they should have been. Standard practice is to insert a breathing tube immediately if the patient isn’t capable of breathing. There is no record in the CMS report of whether a breathing tube was inserted by the team at Yorkville Endoscopy, although news reports have stated that a breathing tube was in place by the time that emergency personnel arrived in response to the 911 call. Drugs including epinephrine and atropine were given during the code, according to the clinic records. However, one record indicates that Ms. Rivers’ heart rhythm was ventricular tachycardia with a pulse. Epinephrine and atropine would not be the appropriate treatment for ventricular tachycardia according to standard ACLS protocol. So there is an unexplained discrepancy between the documented heart rhythm and the treatment given. 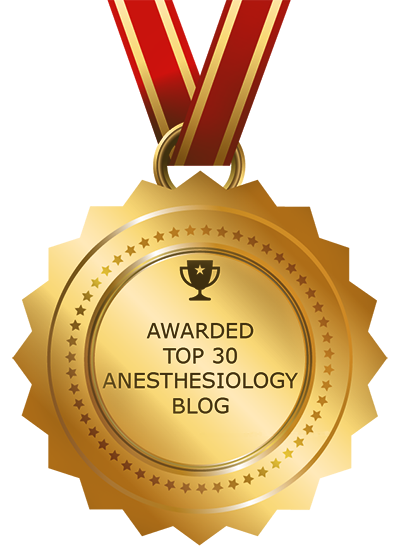 What should the anesthesiologist have done? Anesthesiologists (and other qualified anesthesia practitioners) multi-task, by definition. We administer anesthesia drugs and sedatives appropriate to the type of surgery or diagnostic procedure. We monitor the patient’s vital signs continuously. We maintain the patient’s airway and ventilation, whether the patient is spontaneously breathing under sedation, or on a ventilator for surgery under general anesthesia. Critically important — we intervene promptly to manage any change in the patient’s condition that occurs as a response to anesthetic drugs, to the surgery itself, or to any underlying medical problem that the patient might have such as heart disease or lung disease. During the nasal laryngoscopy done by Dr. Korovin, and the EGD done by Dr. Cohen, the lights in the room were probably dimmed. The endoscopy views typically are displayed on a video monitor, and dimming the room lights improves the contrast. However, dimming the lights reduces the ability of the anesthesiologist to see the patient: to observe skin color, and to see the rise and fall of the chest during breathing. It may be that the anesthesiologist wasn’t able to determine quickly enough that Ms. Rivers’ attempts to breathe were failing. If a patient is in trouble, ultimately it is the anesthesiologist’s responsibility to determine that a procedure should be halted in order to rescue the patient from impending harm. Certainly in the case of upper endoscopy, it may be necessary to cut the procedure short if the patient is unable to breathe around an endoscope in the nose or mouth. It is unclear from the CMS report if the anesthesiologist identified the severity of Ms. Rivers’ deterioration, and whether or not she attempted to intervene prior to the onset of cardiac arrest. While I have no inside information as to what happened at Yorkville Endoscopy on August 28, it’s easy for me to imagine that this was an impossible situation for the anesthesiologist. She was presented with a celebrity patient who was well known both to Dr. Cohen and to Dr. Korovin. She provided sedation with propofol, though it’s unclear exactly how much propofol was given. The medication administration record states that a total of 300 mg of propofol was given at 9:21 a.m., which would be a very large dose for a small, 81 year old patient. However, the anesthesiologist told the CMS surveyors that she actually gave only 120 mg of propofol. Upper GI endoscopy and nasal laryngoscopy are stimulating procedures, and it may have been that Ms. Rivers reacted to the stimulation with coughing or movement, thus prompting the anesthesiologist to give more sedation. 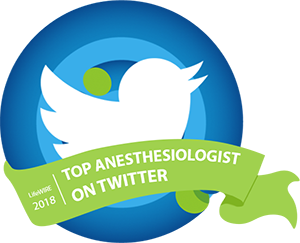 With propofol, though, there is a very fine line between achieving an appropriate level of sedation, and producing sedation deep enough that breathing stops altogether. If Ms. Rivers stopped breathing, it may not have been immediately obvious. In a dark room, with other physicians at the head of the table manipulating scopes in the patient’s nose and mouth, the anesthesiologist may have had very limited access to her patient. Even if she recognized that the patient was in distress, the other physicians may have refused to step aside and allow her to take control of the airway. Once the severity of the problem was recognized, the physicians may have been reluctant to summon emergency personnel immediately, believing that they could manage the situation themselves. They may also have feared the inevitable publicity that would result. At the end of the day, Ms. Rivers was resuscitated from cardiac arrest, but she had sustained irreversible brain damage from lack of oxygen. The tragedy of that outcome has a ripple effect. Inevitably, the lives of the physicians who were responsible for her care will never be the same. As more information surfaces about the events of August 28, we can only hope that lessons will be learned that will benefit other patients in the future. There are minor surgeries and procedures, but there are no minor anesthetics. As always, a beautifully written essay describing the facts of the case with conclusions appropriately drawn, without pointing fingers or determining culpability. Your final paragraph is absolutely true. We (all physicians) have to learn from this, as we do from every patient, and insure that this kind of disaster never happens again. I am certainly not a cardiologist but I am puzzled that a detailed ecg report is not documented. I understand she had a continuous digital pulse oximetry. But what about a continuous ecg monitoring? On a 81 year old woman sedated with propofol I would consider a continuous ecg monitoring an absolute must. The most likely scenario I can imagine was, as also suggested, over dose of propofol, probably with a second dose considered needed, respiratory arrest not discovered in time permitting different forms of arrhythmia as well as irreversible hypoxic damage to the brain. I am reasonably certain that the EKG would have been monitored continuously during the procedure. That is the standard of care. The monitor and the chart, however, would only have recorded the heart rate, not any diagnosis of the heart rhythm. The GI suite is an anesthesia nightmare. Dark, cramped space, high pressure to rush things, our equipment shouldered aside, other physicians mucking around the airway, etc. I always use CO2 monitoring in addition to pulse oximetry, but often the tracing is barely readable anyway since the monitor tubing can only be attached to a simple face mask, which is often cut open to admit the endoscope. Do you know of a more reliable system? In our hospital, we years ago instituted mandatory general endotracheal anesthesia for ERCPs, which are done in the prone position. This after a fatal cardiac arrest under MAC. I’ve done a number of prospective studies on endoscopic sedation and measurement of respiration. Measuring respiration during endoscopy is difficult, and capnography is quite prone to false positives, and at best tells me that the patient has exhaled a volume which may or may not be sufficient to support oxygenation. My most recent study (still unpublished) used respiratory inductance plethysmography to estimate minute ventilation. As a general statement, most anesthesia providers either auger in within 5 minutes of takeoff in an EGD, or proceed at ~50% reduction from baseline. Thus, improvement in process should be focussed on the initial loading phase. Both my research data and my clinical experience (~60 days/year in the endoscopy suite) convince me that hand-bolusing propofol during induction is a dangerous practice. Read our paper in A&A Sept 2014 on drug-induced sleep endoscopy to understand my approach. Finally, I’ve spoken to Larry Cohen personally, and I think his position is not that anesthesiologists aren’t needed in administering propofol, only that for diagnostic cases on healthy patients, propofol can be administered without an anesthesiologist by a properly trained gastroenterologist. Most gastroenterologists aren’t interested in developing the skills to safely administer propofol for endoscopy, but I’m not sure all anesthesiologists are either, certainly not enough to provide sedation for the >30 million patients undergoing endoscopy in the US every year. I hate going to Endo. I wish we would institute a policy to intubate ERCP’s. We even do spiral enteroscopys under Mac which is even more dangerous because it takes the GI doc at least 2 minutes to pull the spiral scope out because it is all the way down the duodenum and they have to twist it out. I think it’s a disaster waiting to happen.i told the powers of be where I work that they should be intubated and I don’t feel comfortable doing it that way so they don’t send me down there unless they have to. No loss. Very nice summary of what is known so far. I would’t make too much of the times on the code records as those are often constructed after the fact—which may be even more common at an endoscopy center where the number of staff is limited. If there was a pulse oximeter reading, then there was pulsatile flow, right? What frustrates me during EGD’s is the fact that the patient is most commonly mouth breathing but my oxygen cannula’s are in the nose. I understand there are endoscopy oral bite blocks that have a way to attach oxygen tubing, but those are “too expensive,” I am told. Unfortunately the one person who can (and I’m sure wants to) answer all these questions is prevented from doing so and this will be fought out in court where the goal is not truth-finding but money-getting. Thank you for writing. I certainly agree with your frustration about working conditions during EGD. My experience with nasal cannulae that have an ETCO2 port has been reasonably good, so that’s what I generally use. I certainly see clinical delays in pulse oximeter readings all the time. It can be alarming how residents and PACU nurses can fail to detect an obvious change in patient color, assuming that the pulse oximeter is “real time”. It is not. Often the pulse oximeter doesn’t register a drop in saturation during intubation until the tube has been in for more than a few seconds. Then, although the patient is pinking up, people become concerned that the tube isn’t in the right place because the saturation appears to be going DOWN. Equipment isn’t infallible. It still takes a clinician to interpret the results and assess the patient. Thank you again for reading and taking the time to comment. We know the number is an average of the previous 30 second, and that ear SpO2 monitors show a change faster than those on a finger (15 second if I remember correctly). But you are absolutely right that the SpO2 reading is what the true oxygen saturation was centally *in the past*. By the time the pulse ox starts to drop, I have already diagnosed the airway issue and fixed the problem (and it really unnerves people when the sat is dropping and I don’t appear to be doing anything–because I already did it). As an anesthesiologist, surgeon, and attorney, I agree with Dr. Sibert that there are no minor anesthetics. I would be interested to see a list of minor surgeries though. I myself have never seen one. I can’t disagree with you, except in the sense that excision (for example) of a small lipoma might be considered a minor surgery. Whereas it has been sufficiently demonstrated, I think, that as soon as we start giving propofol we are not giving a minor anesthetic, no matter how much the makers of Sedasys and others who advocate sedation by non-anesthesia practitioners might argue otherwise. But your point is well taken. Medicine is a serious business, and neither anesthesia nor surgery should be taken lightly. I still find it hard to believe that this happened to joan rivers despite having a board certified anesthesiologist the entire time administering propofol. While end tidal co2 is useful , my most useful tool is watching the patient breathe! Even if I have to put my hand on their chest to feel the chest rise. The only thing I can think of is that when the Joan lost her airway either by going into laryngospasm or simply not breathing, there wasn’t the proper equipment available like an ambu bag with a mask.. Sux drawn up, et tube with a laryngoscope on hand. The other peice of the puzzle was when Korovin decided to pull the scope out . Sometimes they are relundtant to do it when you tell them. I have had on occasion grab the scope with my hand and pulled it myself when I had a patient deteriorate. Often times when I get assigned to Endo , the Ambu bag isn’t there and I have to ask the nurses to bring me one prior to the start. Also , the nice thing about being in a hospital or even a surgical center , there is backup anesthesia personal available. A free standing endoscopy suite, she was probably it. All these things could potentially add up to the perfect storm and be responsible for this catastrophic event. Sad and tragic for all involved. The rush to get things done in operating room particularly in free standing surgery centers is one of the main reasons why things get missed. Providing anesthesia for ENT cases is highly risky because of the shared airway. Surgeons as a bunch never listen until you yell. However when your surgeon and or patient is a VIP, the anesthesiologist is expected to put up the nicest behavior and that means not asking too many questions nor delay cases. Despite all the excuses, as an anesthesiologist my loyalty is towards the patients and have to do the most rational action every time. Can empathize with the anesthesiologist because I come from similar background and age and experience and pray that I don’t miss anything. I have anxiety particularly when I have to give anesthesia to small children for ENT procedures and this keeps me awake all night. Does any lawyer want to trade places with me? No anesthesia is minor. As anesthesiologists we have made it very safe. Vigilance has to be increased when things are not going as expected. Thank you so much, Dr. Schneider!